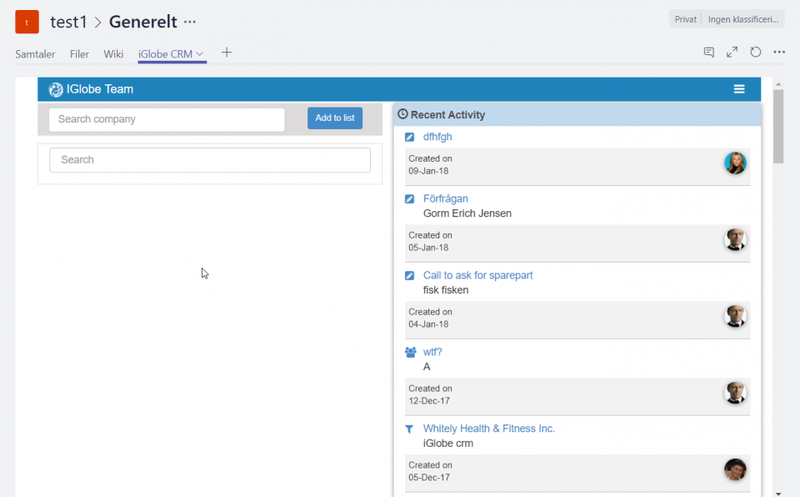 Microsoft Teams is a multipurpose "activity hub" for Office 365 users, a new Microsoft collaboration approach that application leaders must assess to better leverage their Office 365 investment. 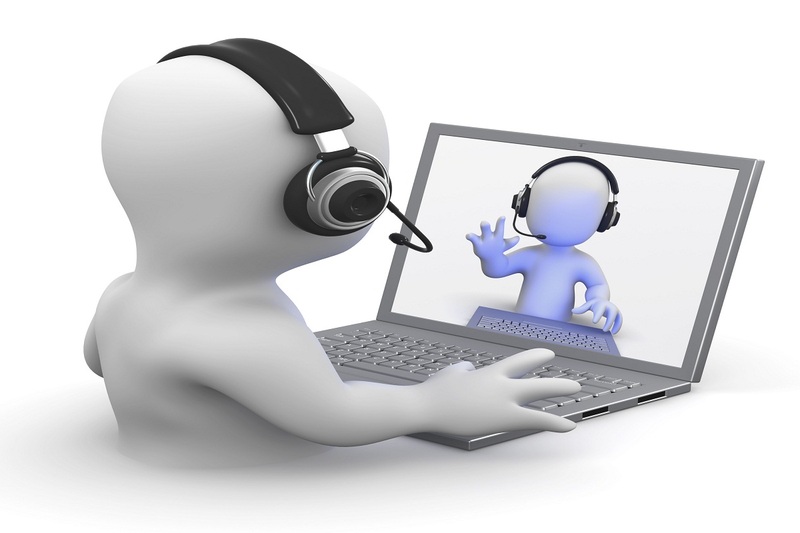 Employees will collaborate and interact in a conversational-style workspace. And from within the Microsoft Teams experience, they will be able to seamlessly access a wide range of Office 365 productivity tools (such as OneNote, Outlook, SharePoint and Planner). As iGlobe CRM is designed to be an integrated service of Office 365, it is only natural that we will offer iGlobe CRM as a Team App. The goal is to bring the service to the team rather than having to leave the team to get customer information from iGlobe CRM. Teams are structured with tabs. 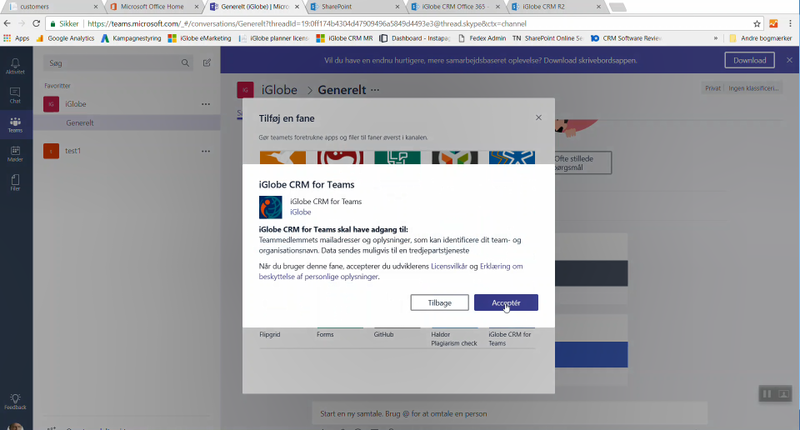 iGlobe CRM Teams App is implemented in a Team as a Microsoft Teams Tab. Tabs in Microsoft Teams allow you to to access services on a dedicated canvas within a channel to display rich interactive web content. 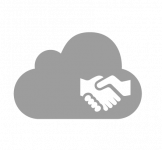 Before you add iGlobe CRM Team App make sure the users that will require access have a valid iGlobe CRM license and are properly added to the SharePoint site member group where iGlobe CRM is implemented. 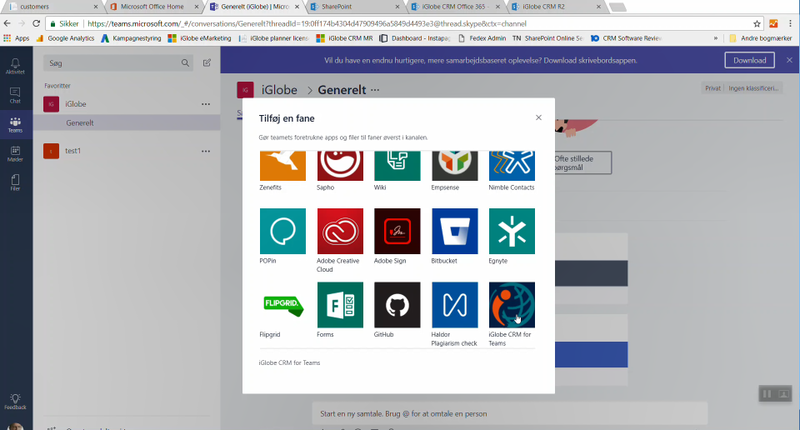 Open iGlobe CRM Office 365 and copy the URL for iGlobe CRM - from “https” until “Pages” (WITHOUT pages). NOTICE THE FOLLOWING URL IS USED AS AN EXAMPLE AND IS NOT TO BE USED IT YOUR TEAM APP. The URL you just copied contain an app ID. It is important to remove the app ID from the URL before you can use it to configure your Team App. To Add iGlobe CRM Team App simply click on the + to add a new tab. A window will open allowing you to add apps/services to you Team. 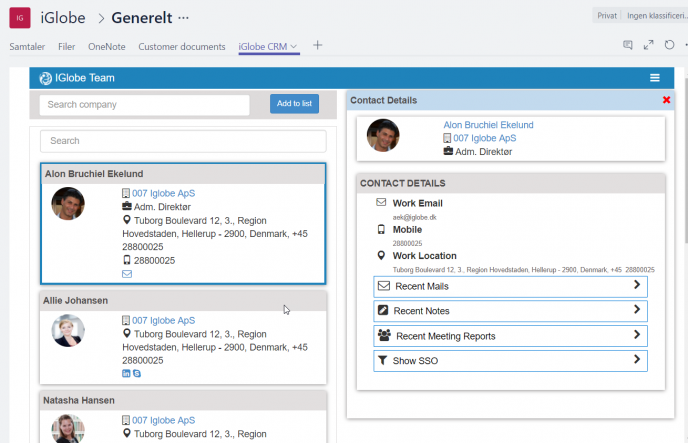 Find iGlobe CRM for Teams and click to add. Now simply enter the URL for iGlobe CRM - from “https” until “Pages” (WITHOUT pages) - and save. IMPORTANT, remember you have to remove the App ID as explained above in Step 1. Remember do not use the URL shown in the below screenshot. This is just an example! A new window opens asking you to accept. Click on Accept. 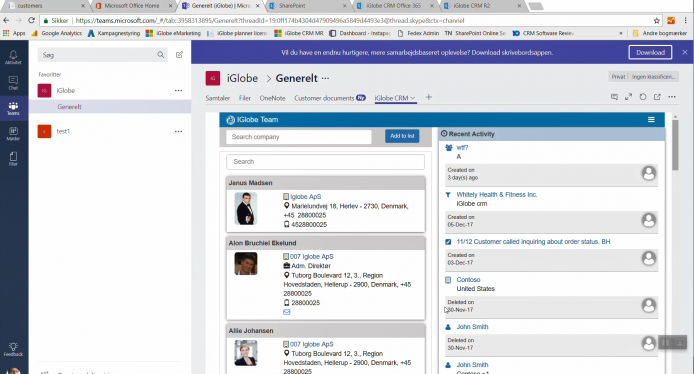 iGlobe CRM Team App will give you access to information regarding activities on selected contacts from iGlobe CRM Office 365. Select and click Add to list. You will now see the contacts added in the list. After adding the company to the list, you will see the contacts as shown below. 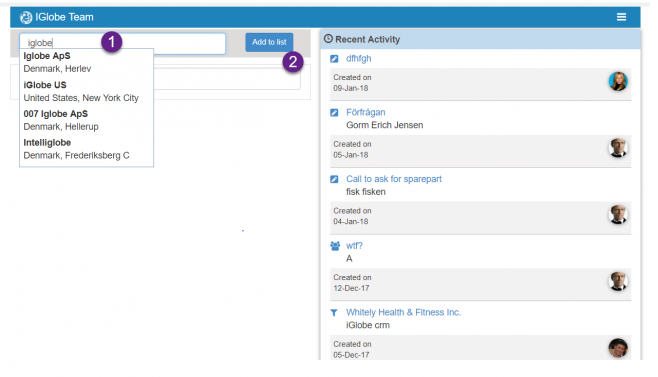 NOTICE, WHEN YOU OPEN AN ACTIVITY FROM THE LIST IT WILL OPEN IGLOBE CRM OFFICE 365 AND OPEN THE SELECTED ACTIVITY. FOR EXAMPLE A NOTE. Should you want to remove a company, hence the contacts from the list.